VATICAN CITY (CNS) — Two women may hold the key to clearing up questions still surrounding the death of Pope John Paul I and to overcoming the first hurdle on his path to canonization. Stefania Falasca, a journalist for Avvenire, the Italian Catholic daily newspaper, is the vice postulator of the sainthood cause of the pope, whose pontificate lasted only 33 days in 1978. Although it no longer is unusual for a woman to serve as official promoter of a cause, she is the first to be vice postulator of a pope’s sainthood cause. The exceedingly short term of a pope who was very popular and much less formal than his predecessors was enough to set rumors flying when he died Sept. 28, 1978. But Falasca believes the rumors were helped to become a full-blown conspiracy by a lack of transparency from the first hours of the pope’s death. “Remember, it was 40 years ago,” Falasca told Catholic News Service Nov. 6. The pope’s priest-secretaries thought it would appear unseemly that women entered his bedroom and found him dead, so instead of acknowledging that the women religious working in the household found him, it was reported that the priests did. “That was one of the elements that helped unleash the ‘noir,'” or the series of conspiracy theories and books that read like murder mysteries, she said. 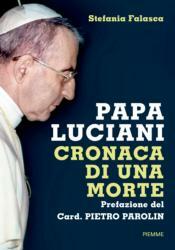 Falasca has countered with her own book, “Pope Luciani: Chronicle of a Death,” which was set for a Nov. 7 release in Italian. 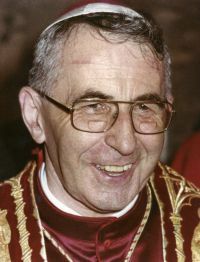 Pope John Paul’s given name was Albino Luciani. Also Nov. 7, the cardinals and bishops who are members of the Congregation for Saints’ Causes were scheduled to vote on whether to recommend Pope Francis formally recognize Pope John Paul lived a life of heroic Christian virtue and declare him venerable. The recognition of “heroic virtues” is the first big step in the process. Before beatification, the pope would have to recognize as a miracle attributed to his intercession one of the “presumed extraordinary healings” the postulation forwards to the Vatican. A second miracle is needed for canonization. According to Falasca’s book, which is based on archival research and interviews, Pope John Paul and his secretary, then-Father John Magee, were reciting night prayer together at about 7:30 p.m. Sept. 28, 1978, when the pope experienced chest pains. He refused to allow a doctor to be called, and the pain went away. At 5:15 the next morning, as every morning, Sister Vincenza Taffarel, now deceased, put the pope’s cup of coffee outside his door. He would drink it on the way to his private chapel for early morning prayers. Falasca’s book includes an interview with Sister Margherita Marin, now 76, a member of the Sisters of the Holy Child Mary, who worked alongside Sister Taffarel. She said the pope had his arms above the sheet, holding some typewritten pages. He was wearing his glasses, but his eyes were half-closed. “It really seemed like he was asleep,” she said. But his body was cold. Nothing had fallen to the floor, she said. And there were no signs of thrashing, extreme pain or any disturbance. The sisters immediately called the pope’s priest secretaries and, after saying a prayer with the sisters, the priests called the Vatican doctor. He determined that Pope John Paul had died of a heart attack late the evening before. “Father Magee told us not to say it was we sisters, me and Sister Vincenza, who found him dead in his room, because they had decided to say it was his secretaries who found him,” Sister Marin told Falasca. Cardinal Pietro Parolin, Vatican secretary of state, who, like Pope John Paul, is from Italy’s northern Veneto region, wrote the preface to Falasca’s book. “After so much conjecture, so many reconstructions based on rumors without confirmation, we can now know what happened in the last hours of this pope’s life,” he said.